If you are not new to Social Media Marketing, you know that this machine demands money! But the good news is that the sums are not really high, if you do social for a local business, not for guys from big companies:) But in this case you don’t bother with numbers, right? Let’s imagine you run your own social media and your business is not happy to invest several hundred dollars into its social media marketing. In this tutorial, we will discover how you can advertise on Facebook with literally any budget. I promise, you will see results even in a week and then you will be able to invest more into your social media account, while following content marketing best practices! 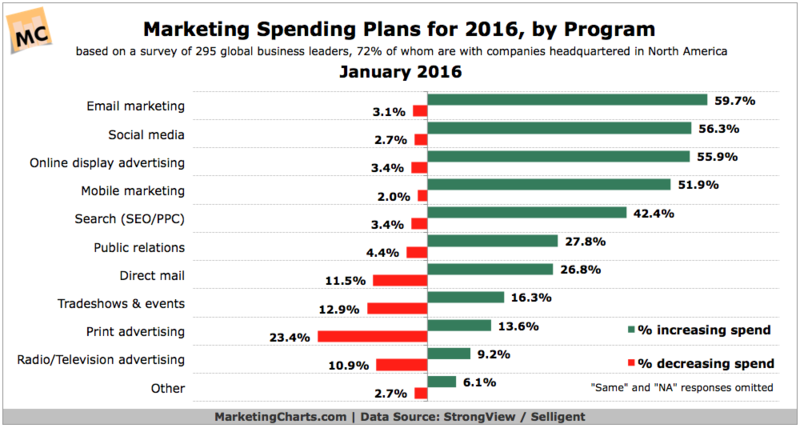 Before we start, let’s look at the big picture of digital advertising in 2016. The chart below shows strong increases in digital channel investment. Of the five digital tactics represented in the report, each expected to see at least a 42% increase in investment. And you can see that social media investment got a leading position! Facebook, the largest world network increased its advertising revenue up to 57%, where its mobile ads account for 84% of the social network’s advertising! 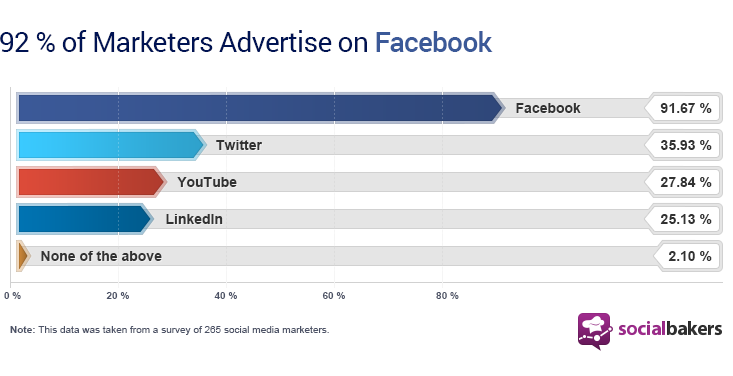 Given that advertising makes up roughly 92% of Facebook’s revenue. Why does Facebook earn so much in advertising? Because it works! 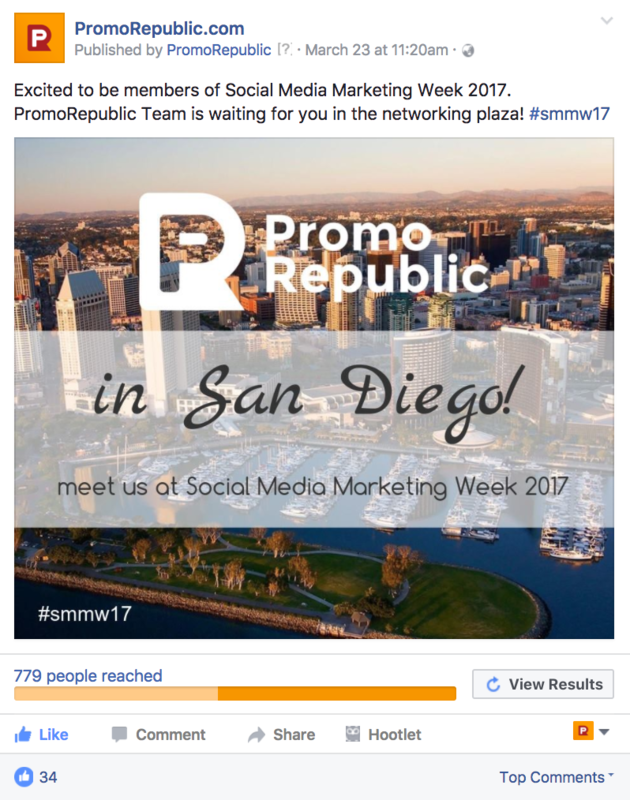 Please note, the Facebook marketing tips for 2017 include knowing about the Facebook 2017 post sizes. But for now, you just want to see if Facebook is the right network for you, and if your audience is there. You also want to learn your their behavior and formulate your customer personas. This is known as experimentation and we highly encourage it here at PromoRepublic! There is no definitive 2017 Facebook marketing guide, so experimenting is key to sucess. It is costly, not to mention spammy, to boost all your social posts. Social media is called “social” for a reason. You have to remember the human beings that are engaging with your social account. They don’t like too much advertising, and they won’t tolerate it. They could stop interacting with your page, and might even unfollow you. Most content marketing guides tell you to first establish your social media content calendar, then cherry pick the best performers to convert into paid posts. Before you think about social media marketing automation in terms of advertising, work that organic angle. This is what most marketers use social media for. But it’s not enough just to build a brand presence, no it’s about relations and communications. Your goal as a marketer is turned unto a PR goal, because you maintain your brand’s reputation and it draw your business closer to your customers! So, what posts should be given a special attention when your goal is this one: company news, reports, mentions, inspirational quotes, daily motivations, and other engaging and customized with your logo posts, which are related to your business niche? What are the most important pieces of content on your social media calendar? Another popular mission of a marketer is to sell with social. You can drive leads, generate contacts or sell directly on the page. 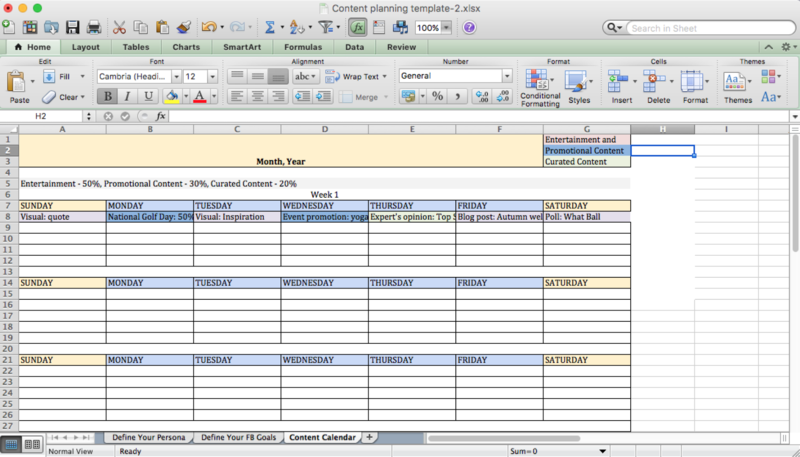 All you need is a content creation template that’s intuitive and customizable. 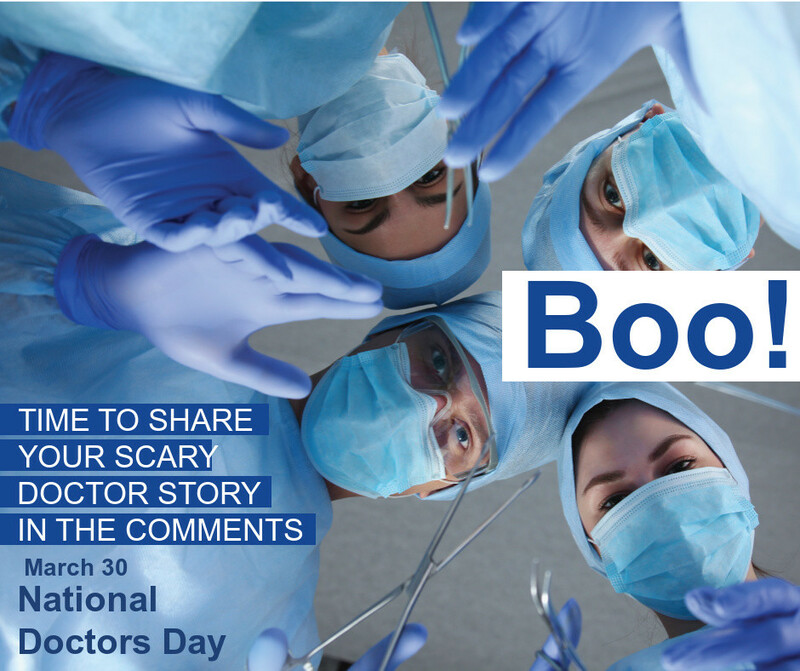 The most natural way for your post to go viral is for the post to contain viral information! You can publish your post on a special day for your business, e.g if you are a bakery – choose #TheBurgerDay or #TheNationalDoughnutDay, if you are an offline clothes store, you may try #PantiesDay, #NoClothesDay, or any other that is connected to your business. Check out the PromoRepublic content calendar and get all the events and holidays, both national and local for your business. When in PromoRepublic, you can manage the calendar to show you only the events which are relevant for your business or industry. It’s a social media content generator, social media marketing guide, all designed to help you learn content marketing from the perspective of your industry. It’s social media management software that makes sense for any business. PromoRepublic is a daily updated content calendar with 5 different categories of special trends and events (both local and national). It is also a content builder that provides 50+ industries with professional content for social pages. You see, the tool doesn’t just suggest you ideas for your posts but offers you ready made visual post templates with great visuals and professional messages created by a team of social media marketers! When providing social media marketing services, you can’t find a better tool. Once you decide what content creation examples you need to promote and now you know how to make this content look great, let’s examine social marketing on a zero budget and beyond. By the way, some growth hacks cost nothing – read more below! You may choose to go solely with organic social posts Great! 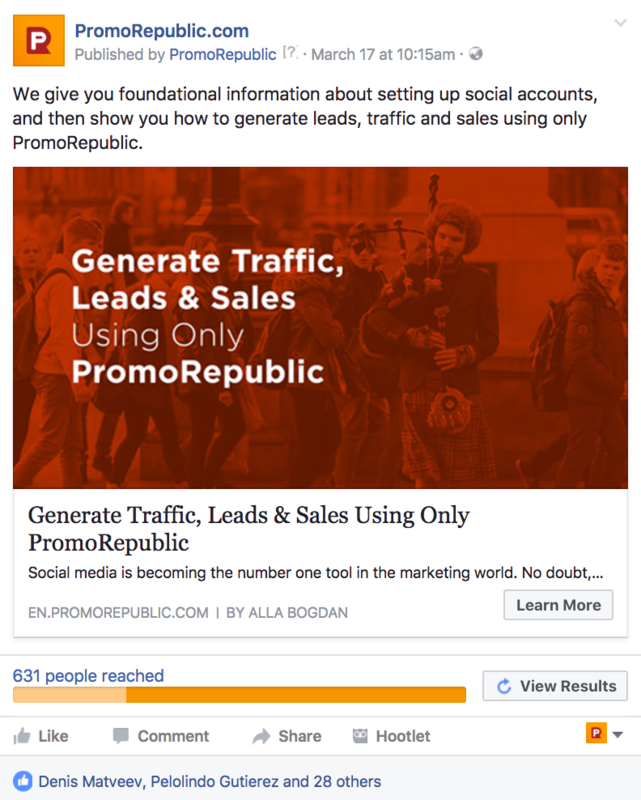 We are big believers in organic social media marketing and recently hosted a webinar and wrote a blog post about generating leads, traffic and sales using PromoRepublic only. Many social media professionals choose to spend their marketing budget on a staff member and a tool or suite of tools. And, if you follow PromoRepublic’s tips on what and when to publish, you’ll likely be successful. You know that their following list is huge! Sometimes, it is better just to ask an influencer to share your post on his or her page rather than spend money for paid ads. But building relationships with the influencers of your niche is not really free – you need to grow relationships with them and this takes time and of course – find them – spend some time and do a research. Believe me, you will be rewarded with likes, shares, and clicks! I recommend you prepare a list of influencers and a letter sample. Once you have a special offer or a great blog post you think his audience will be interested in, it will be easy for you to find the right person on your list and just edit the letter sample to fit the recipient. This is great when you’re providing social media services for small business and beyond. Another great option for you is to find your audience in the relevant group. Posting in them is known as content seeding. So you seed your content in places where people are interested in your products or services. But you need to do a bit of preparation before start “seeding”. Some groups are closed, so ask “to enter” before and post some non-promotional content there as well! When the administrator of the group will see your “dark” intentions you will be banned, and this is not what you want. Prepare a list of groups and posts you want to publish there. It will be easy for you to check the groups where to post your content. Your organic posts can be a great resource to find out what will work best as a paid ad. You’re going to be posting anyway, so really stay on top of your analytics, as they will tell you which posts your audience likes the most. That will tell you what content is likely to perform best in terms of conversions. Just make sure, in all posts, you have a clear call to action so that your testing is balanced and accurate. If you don’t want to spend a lot of money, don’t choose the widest settings for your ad reach. By narrowing your target audience down to a certain geographic area or other demographic, you can control costs while still seeing ROI. Also, pick the channel most of your audience is on and post organic content to the rest of your channels. If you find that most of your engagement is happening on Facebook, don’t spend money to increase engagement on other channels. Spend money to reach more people on Facebook. Content creation for social media doesn’t have to be expensive or difficult. You can manage a social media calendar for small business, for enterprise agencies, or even for yourself spending little to no money at all! Join our Facebook group to let us know what tips and tricks work best for you!